The Kerrie Show: Common Questions About CBD Oil, Answered! Common Questions About CBD Oil, Answered! CBD oil has become more and more popular in recent years. It is an extract of the marijuana plant, known as Cannabis Sativa, and it is perfectly legal to use for different purposes. There are a lot of uses for the extract indeed, including treating anxiety issues and helping to strengthen cells in the body. The increasing popularity of CBD oil means more people are now looking into CBD oil as a way to treat different medical conditions. Some of you may have questions about CBD oil regarding how it is best used in different situations. We are going to try to answer some of those questions in this article. Until recently, there has been a big misconception about CBD oil and its relation to the marijuana plant. While CBD oil is derived from the same plant, Cannabis Sativa, it doesn’t have the same properties as the dry version of marijuana that is now used for medicinal purposes. For starters, the CBD oil contains a compound called cannabidiol, or CBD. CBD is what produces the health benefits of CBD oil – and marijuana in general – but it is different than tetrahydrocannabinol, or THC, in one important respect: CBD does not produce psychoactive effects. THC, on the other hand, is the main psychoactive compound in marijuana, which causes a high, and other psychological effects. Since CBD-based products do not contain THC, they are not classified under the same category as defined by the DEA. This is why CBD oil is legal across the United States, while other marijuana-based products – including medical ones – are classified differently in different states. In short, yes. As mentioned before, CBD oil and products derived from it don’t contain THC, which is the primary psychoactive compound in marijuana. You can buy CBD oil and CBD-based products without having to worry about them being illegal. What are the CBD products available today? Depending on your preferences, CBD oil can be consumed in different ways. For starters, there is CBD oil in its liquid form. This is something you can consume directly or use as an ointment to get the health benefits it offers. Keep in mind that you cannot diffuse CBD oil. You will still get the aroma of CBD oil when you add drops of CBD oil to the diffuser, but it is not how you gain the health benefits of this product. Aside from CBD oil in its liquid form, there are also products that package CBD oil in easy-to-consume forms like tablets and capsules. 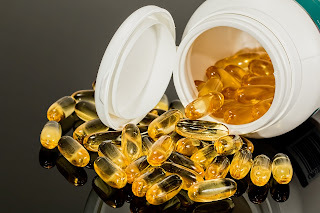 CBD oil capsules are certainly easier to take, because you can take them after your meals in the same way that you would take other health supplements. What's great about the popularity of CBD oil is the new range of products that are now available on the market. CBD gummies, for example, make consuming CBD oil orally more enjoyable. You can consume CBD oil without dealing with its unique and distinct aroma or taste. Other forms are also available. Be sure to learn more about the different CBD-based products to find one that suits your personal preferences best. What benefits can I get from consuming CBD oil? There is a long list of proven and tested benefits you can gain from consuming CBD oil. At the top of that list, there is the fact that CBD oil helps ease pain in a relatively short amount of time. The lack of THC doesn’t mean CBD is any less effective in relieving pain. Oral consumption is best if pain relief is the benefit you want to get from CBD oil. CBD oil is also an effective treatment for inflammation. CBD itself has anti-inflammatory properties known to be effective; various studies have proven just how well CBD works when used to treat inflammations and similar health problems. At the same time, CBD also promotes the growth of new neurons and protects existing ones from stress. In most cases, however, CBD oil is used to treat mood disorders and anxiety. CBD oil in its different forms is known to be highly effective as a treatment for anxiety disorders. You will not only feel calmer and more in control, but you can also benefit from the long-term improvement CBD oil brings to the table. Combined with treatments such as behavioral therapy, CBD oil can be very effective in treating stress. The benefits of CBD also include everyday benefits you can surely appreciate. If you have trouble sleeping, for instance, consuming CBD oil regularly can help eliminate that problem once and for all. It is also recommended for REM behavior disorder, and it alleviates some of the symptoms of sleep apnea. Just like other treatments, there are some side effects produced by CBD oil and its consumption. That said, the side effects are negligible compared to the health benefits you can gain from the consumption. For starters, CBD oil may cause nausea and a dry mouth, mainly because the aroma and the distinct taste of CBD oil are not for everyone. The latter is also due to the nature of CBD oil; it contains a high concentration of CBD extracted from Cannabis Sativa. You can remedy this side effect by drinking more water. In some cases, CBD oil may also cause diarrhea. To avoid this particular side effect, it is always recommended to try CBD oil in small doses and test your body’s ability to absorb the compound first. Aside from the proven benefits we discussed earlier, there are also known benefits of CBD oil that haven’t been thoroughly tested yet. You can deal with things such as acne and prevent diabetes with regular consumption of CBD oil. There are even studies exploring the links between CBD oil and cancer risk reduction. What’s best about using CBD oil as a treatment is that you can now get the CBD oil products that suit you easily. With so many benefits to offer and little to no side effects to worry about, it is easy to see where today’s immense popularity of CBD oil stems from.